A very nice case lot price for a newly manufactured .44 Magnum load by the MBI brand which is more widely known for their commitment to producing remanufactured ammunition with a national footprint in the American shooting market, where they have been known for their excellent choice of components and well above average production procedures. 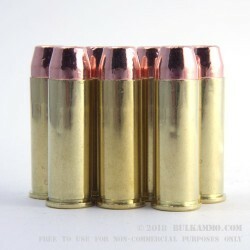 This round IS NOT A RELOAD. It is a factory new offering from a well-known remanufacturing company (MBI – Military Ballistics Industries), whose reputation is very solid among frequent shooters looking to offset some of their target shooting costs by using MBI’s bread and butter offerings. Typically this has meant that shooters would be purchasing MBI ammunition that utilizes top tier components from makers like Hodgdon and CCI, Winchester and Federal. 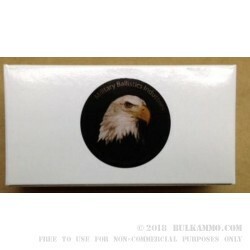 This is a 1000 round case lot purchase packaged in plastic bags of 100 rounds each – 10 bags. 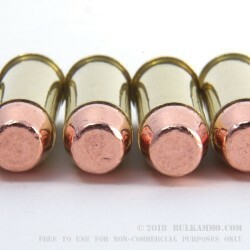 The Starline brass they are using for this new manufacture ammunition is premium bras that can be reloaded easily by shooters thanks to the Boxer primer and the top quality build of the brass from Starline facilities. 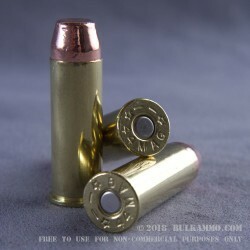 This is a 240 grain full metal jacket projectile inside of a premium brass cartridge casing by Starline and made with good quality powder mixes which aren’t super clean, but compete well with the mainstream factory producers on the market.